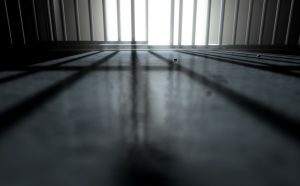 The Bail Reform Act limits pretrial detention to those defendants whose alleged crimes warrant stricter monitoring; the Act favors the presumptive approach of a defendant’s pretrial release and monitoring. If a prosecutorial motion can show via clear and convincing evidence that a defendant cannot be reasonably monitored without pretrial detention, the New Jersey trial court retains the authorization to deny pretrial release. There are several charges for which the State can apply for pretrial detention, including those under Megan’s Law, the endangerment of a child’s welfare, or any crime that the prosecution can show seriously jeopardizes the goals of pretrial release. The Bail Reform Act provides a rebuttable presumption against pretrial detention except in those cases in which the defendant is charged with a crime that is subject to an ordinary term of life imprisonment. That the defendant will neither obstruct nor attempt to obstruct the criminal justice process. The recommendations of the pretrial services program. The Bail Reform Act has improved the chances of pretrial release for those facing criminal charges, but the process can get complicated. Seek experienced legal counsel. If you’ve been charged with a crime in New Jersey, you may be eligible for pretrial release. Don’t leave your rights to chance; contact the Law Offices of David W. Polsky today. As an experienced criminal defense lawyer, David has the skill and commitment to fight for you and your pretrial release. We’re here to help, so give us a call at 973-686-9787 or contact us online.